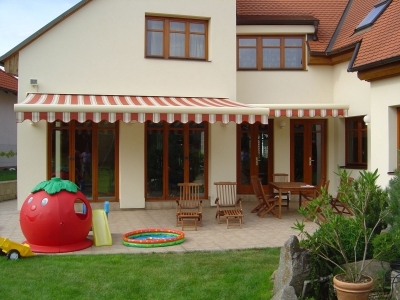 Awnings are getting more and more popular in Poland. each year They appear with in several thousand of polish house. They have changed the grey faces of our streets also formerly, windows of stores, cafés and restaurants. 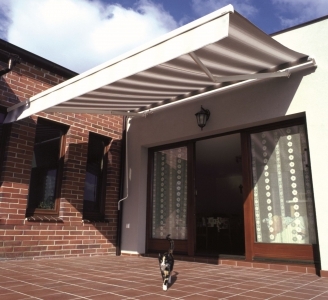 STAN-MAL offers a wide range of awnings. 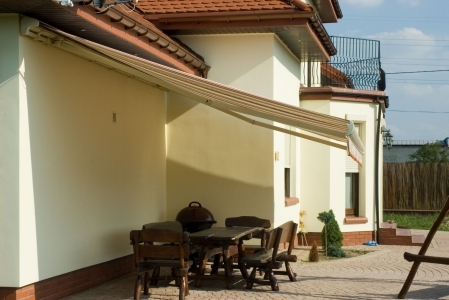 Awning are suitable for balkonies. 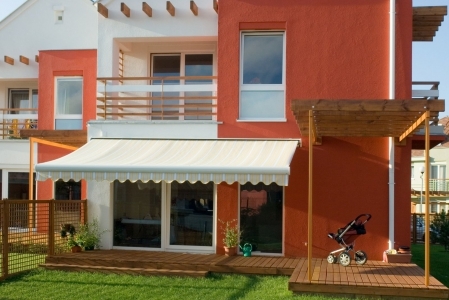 Awnings do not only protect from sun, but also from rain and wind or as ornamental elements of houses and other objects. 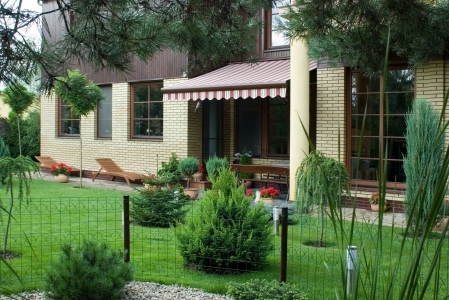 Besides, it also protects the interior of the house from harmful UV rays. 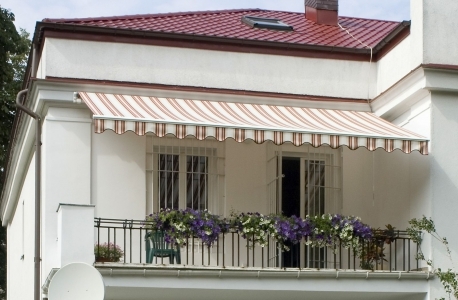 A wide selection of awnings has been prepared for owners of houses with terraces which does not have a top. 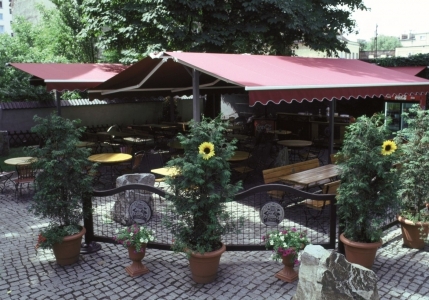 They are used to shelter from the sun such big surfaces as, residences, restaurant gardens, shop windows, external café stalls. easy construction, perfect average size terraces and balconies. 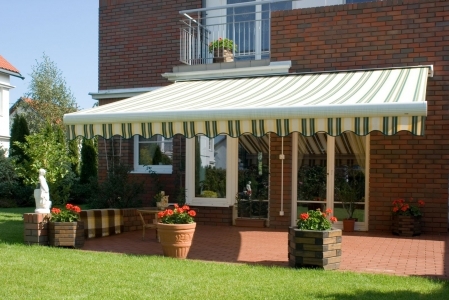 Extensible shoulders of the awning are made of a special aluminum alloys. 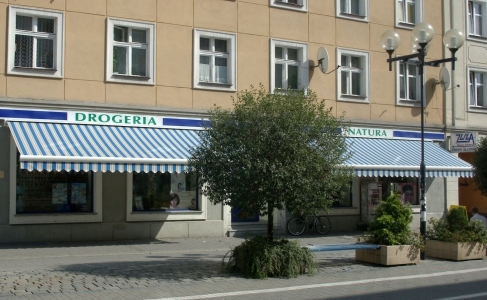 Aesthetic appearance of the awning. perfect for bigger terraces. Thanks to its simple construction and reliability it finds it use in commercial installations. connection of elegance and reliability. Its construction assures long viability, therefore it is perfect for big terraces and commercial installations. 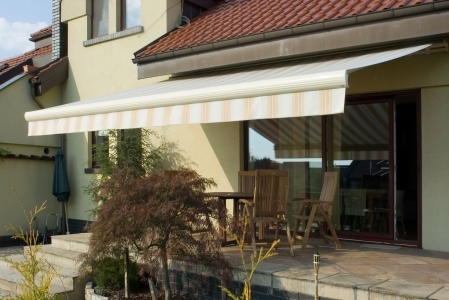 elegant awning with a cassette, perfect for terraces. (ordinary, with cassette or for shadowing used for handrails) awning (marchioness) for windows, balconies, terraces and porches. Easy to install.